The Hummingbird Bakery and Restaurant is one of my daughter’s favorite places to go for lunch and she has been bugging me to go with her. Even offering to pay! Well the kicker was when she said they have great cupcakes. So I said ok. 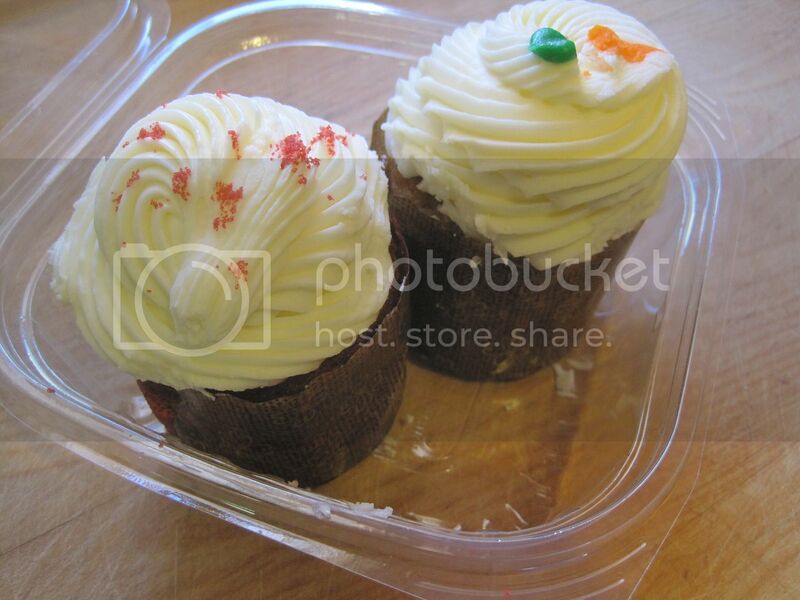 Unfortunately, I didn’t bring my camera so I couldn’t take photos of what we had (NC Fish Tacos) but we did take some cupcakes home. I forgot which flavors these are now, but my daughter’s favorite is their hummingbird cupcake. This might have been the hummingbird, but I’m not sure. The food, as expected, was quite good. After all, this is bakery/restaurant is owned by the same chef running Watt’s Grocery just down the street, Amy Tornquist. I’m not sure if she is also doing the cooking and baking at Hummingbird, but whoever their pastry chef is, he or she is doing a great job providing good quality baked goods in this neighborhood. I love the rich butter frostings that are not cloyingly sweet as some desserts around here tend to be. The cakes are also good, but I prefer my cakes more fluffy and moist. These were a bit on the dense side for me, but still not to dense to be unpleasant. 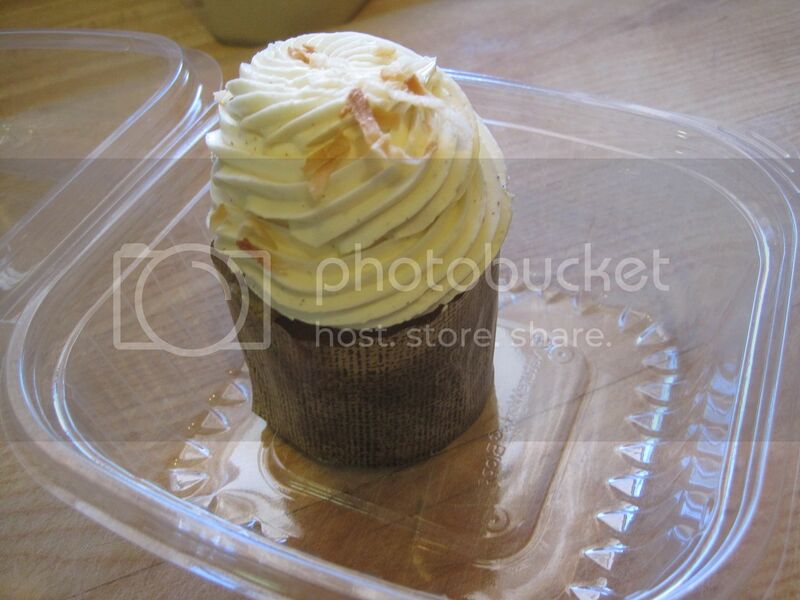 I have to note though that their cupcakes are usually kept cold because of the butter frosting. But if you take them home and let them sit at room temp for a while but not so long that the butter starts to melt, the cake part gets better tasting and more moist. 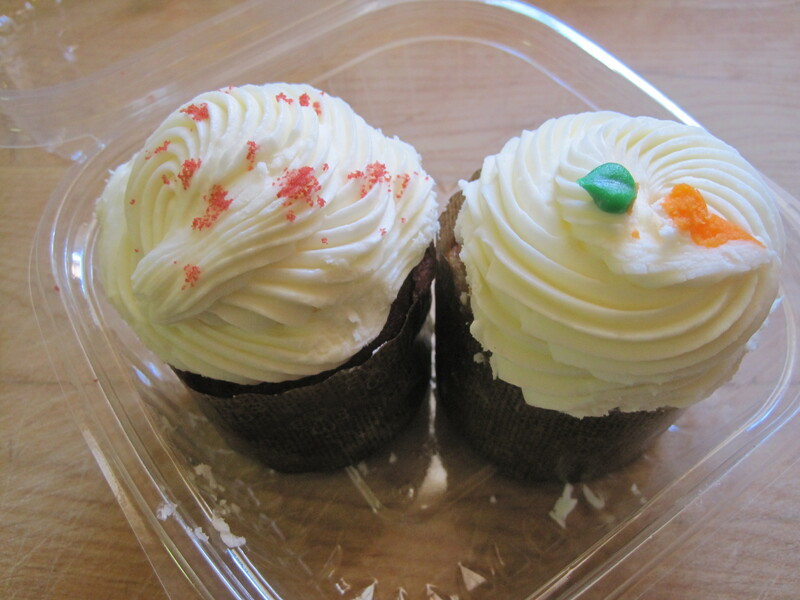 They were good overall though and probably one of the best cupcakes that can be had around here. Hi Heather, I didn’t get any recommendations to post a review. I just felt like it since it’s become a regular stopover for us now when we’re walking around our neighborhood and we love having great eating places within walking distance. Thanks so much for posting about Hummingbird! I am not personally usually the baker for hummingbird. We have a great team of pastry folks and they do a wonderful job and are really creative. Right now, I am mostly doing the soups and smoked meats for hummingbird and watts. I’m kind of the person who generally fills in the holes….and that’s where we are thin right now. Anyway, hope this helps answer questions and thanks again for coming to Hummingbird! Hi Amy, thanks for dropping by and dropping a comment. We love Hummingbird and Watts. They are a great addition to the neighborhood!